Scientific notes: Issue 3, 1997 J. Mays, M. Panchuk. Ukrainian National Communism. Tragic Illusions. Issue 3, 1997: J. Mays, M. Panchuk. Ukrainian National Communism. Tragic Illusions. Scientific Notes / Digest. – K.: Institute of National Relations and Political Science, 1997. – 82 pages/“Political Science and Ethnology” Series. Issue 3/. 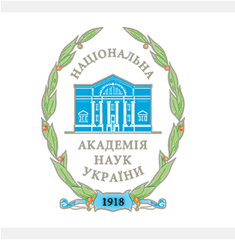 Наукові записки / Збірник. – К.: Інститут національних відносин і політології, 1997. – 82 с. /Сер. "Політологія і етнологія". Вип. 3/. Describing the events of 1920-1930, the authors try to realize apocalyptic scale of tragedy, which Ukraine went through, and to understand where lies the root of evil.